Some say the advertising profession is somehow dishonorable, and I guess—in the hands of dishonorable people—it could be. But way beyond mere hawking of goods and services and sales, we routinely get a chance to make a positive impact in the world. Last Saturday was the annual Gala for the Juvenile Diabetes Research Foundation. We got to help bring this year’s Superhero theme to life, applying our talents in photography, design, and motion graphics to raise money for their cause. 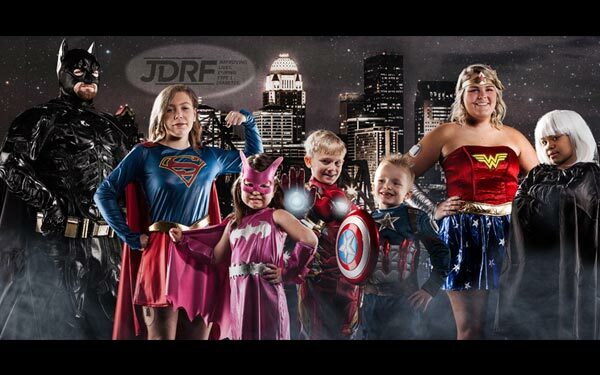 The bonus was meeting the REAL Superheroes…the kids who fight the diabetes fight every single day. Just Yesterday the YMCA’s annual Together for Teens breakfast was held to benefit the YMCA SafePlace, a shelter program open and available 24 hours each day for teens, and their associated Y-Now program, which mentors teens with incarcerated parents. We produced the entire event, from initial theme through execution, including social media support. And, later today, we’ll launch a new website for WaterStep which provides technology and training to save lives with safe water around the world. Let’s see…fighting a debilitating disease for kids, providing shelter for at-risk teens with nowhere to turn, and literally saving lives in areas we’ll never visit. Not a bad week…not bad at all!